On Friday, the Church announced it will now be holding priesthood and women’s sessions of conference annually, as opposed to semi-annually. This means that every April general conference will hold the annual priesthood session, and every October general conference will hold the annual women’s session. What does this mean for these two sessions of general conference? Obviously, this change further equalizes the priesthood and women’s sessions of general conference, because they now hold similar time slots. 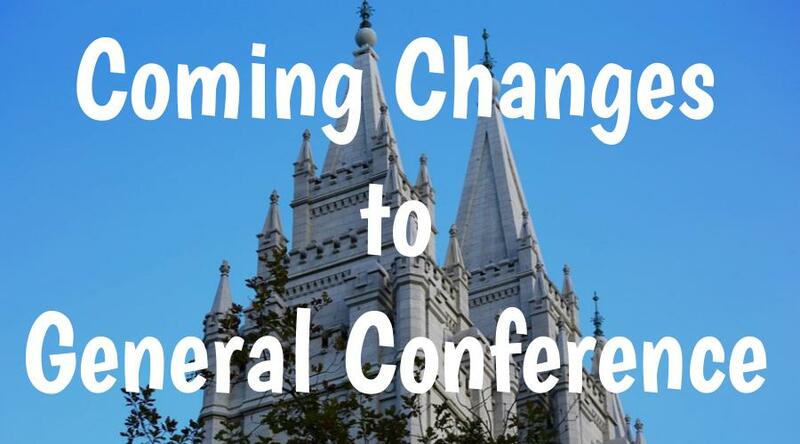 Before the change, the women’s session would be held a week prior to the other general conference sessions, while the priesthood session would be consistently held the evening after the Saturday sessions of general conference. Now that the change is occurring, this will facilitate attendance to the women’s session, especially for those visiting from other states and countries visiting for conference. This change is yet another evidence of revelation in the Church, like the others that we have seen over the past few weeks. In the April 2018 general conference, we will see these new changes applied. The priesthood session will take place then, and then the Women’s session will take place in the October 2018 general conference. This entry was posted in Articles, LDS Church. Bookmark the permalink.